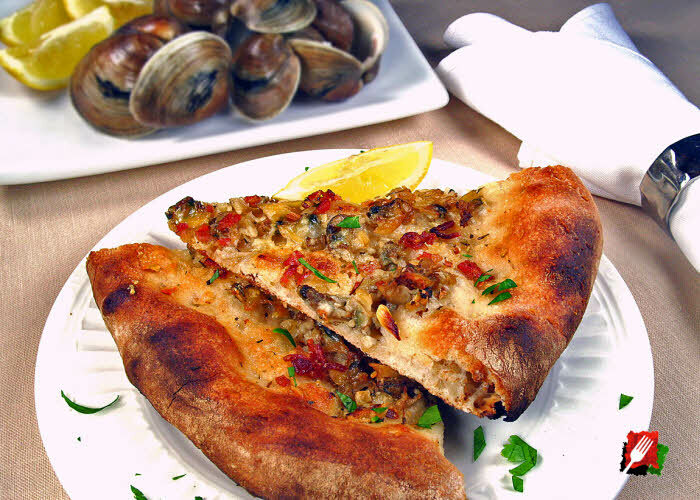 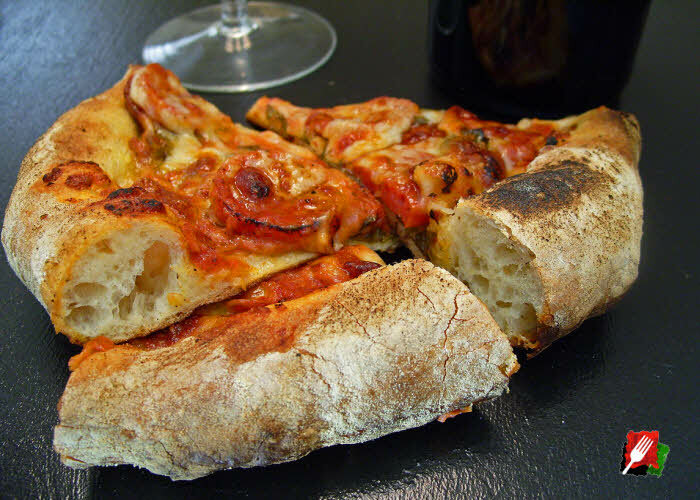 What is Pizza Cornicione? 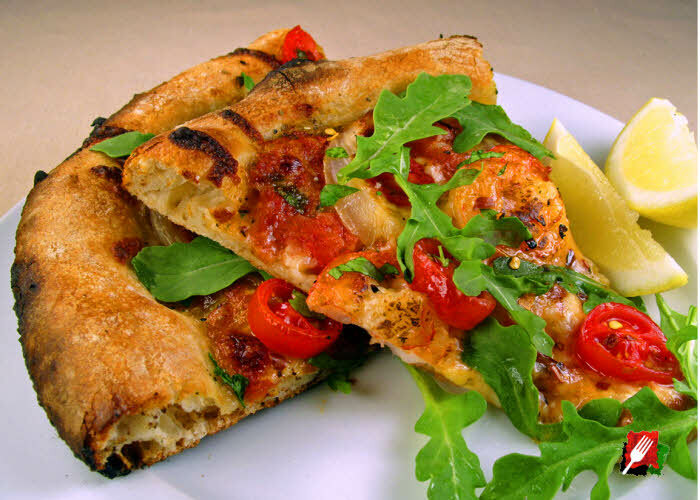 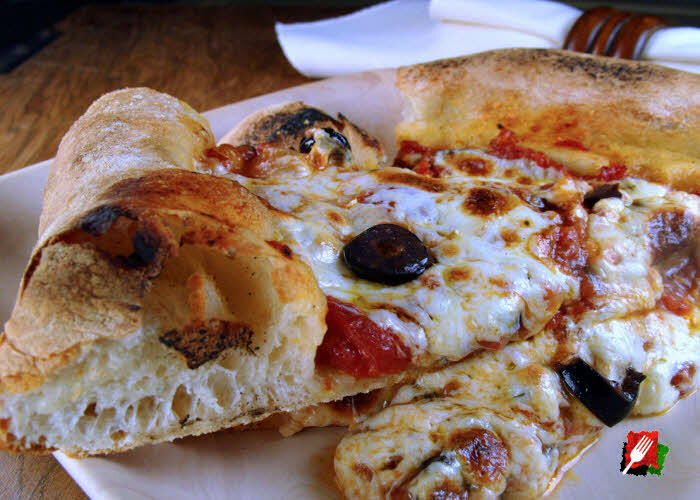 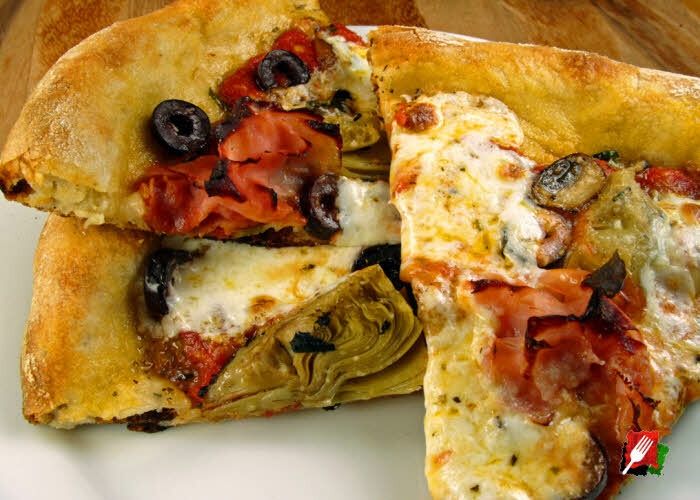 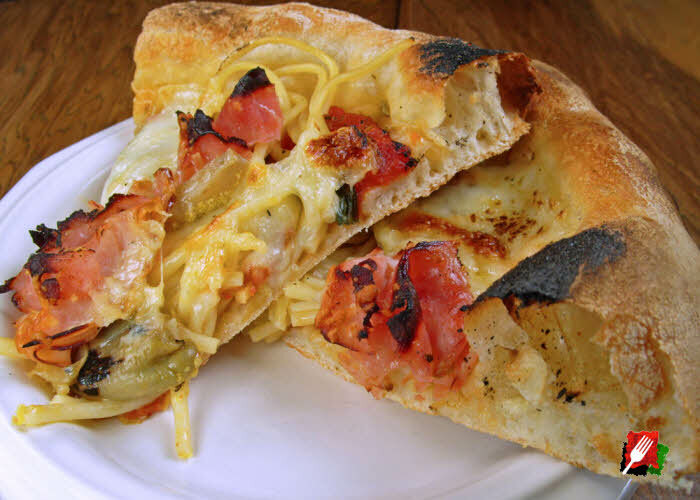 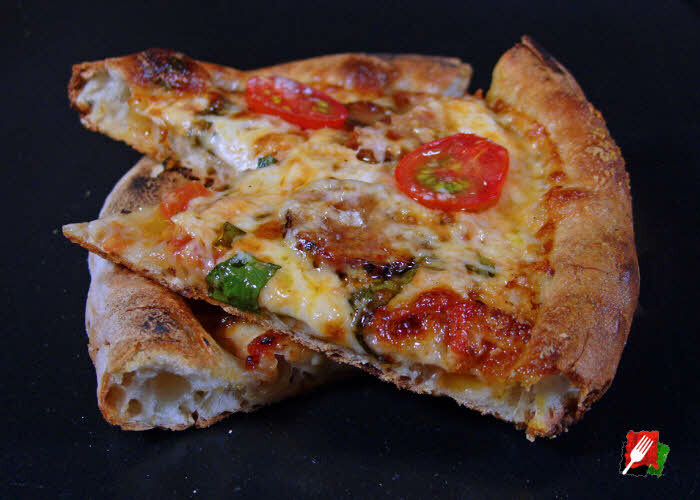 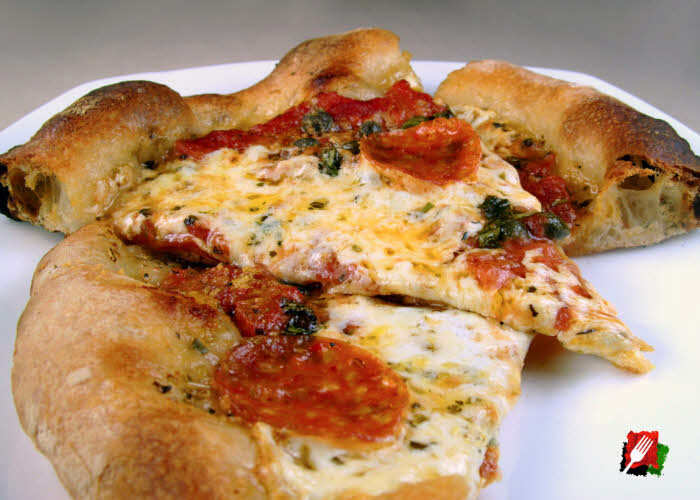 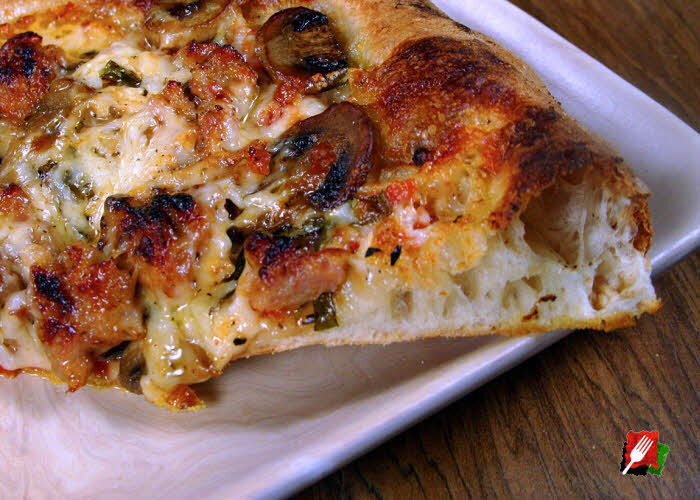 The crusty, airy outer edge or raised rim of a pizza is referred to as cornicione. 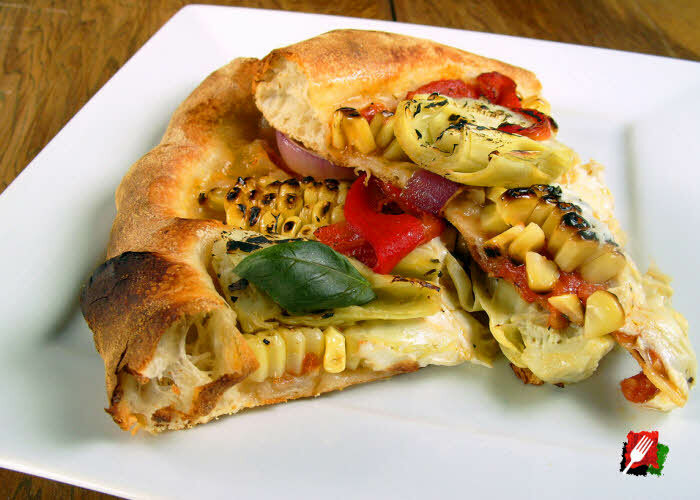 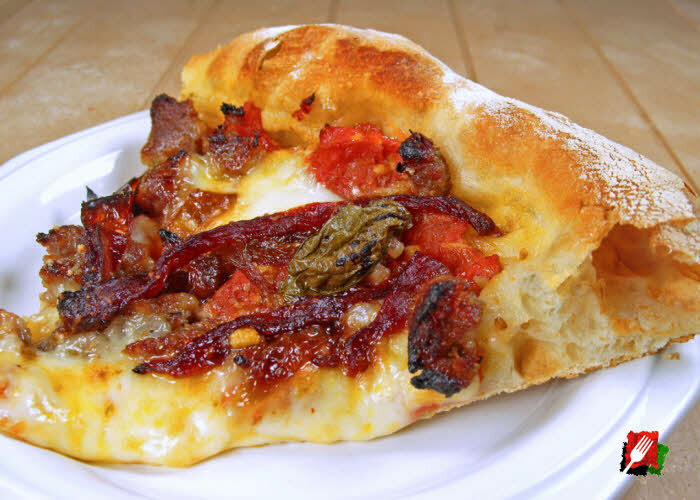 The cornicione (pronounced “corny-chone-A”) is often found with artisan Neapolitan-style pizzas. 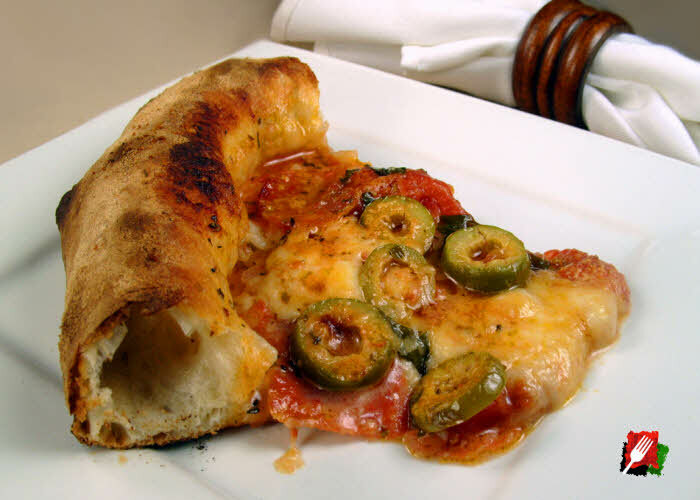 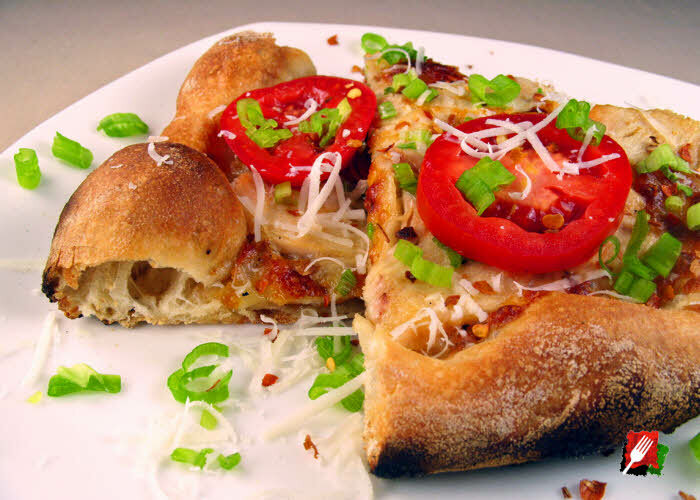 New York-style pizza dough is typically tossed by hand and a thick pizza sauce spread to the rim, leaving a thin center and relatively flat edge. 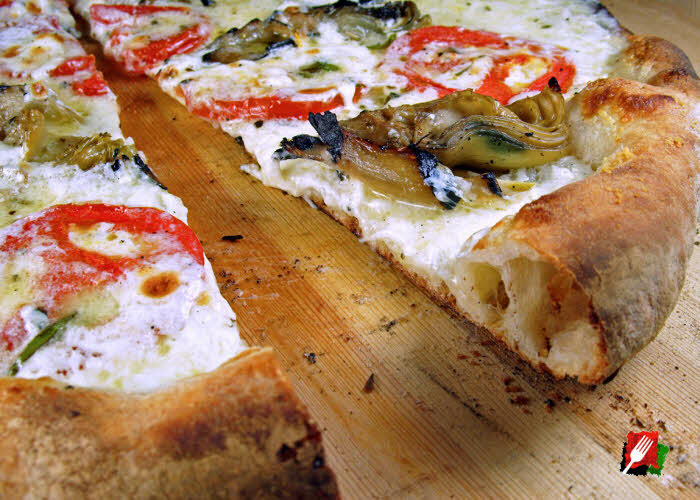 Neapolitan pizzas are hand formed on the work surface, working the dough from the middle out to the thicker rim and never spreading the sauce too far out so the edge can rise, leaving a thicker, airy, crispy, and delicious cornicione. 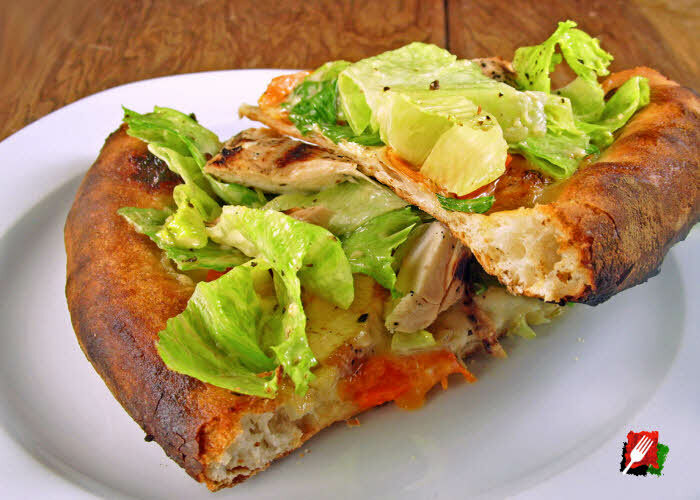 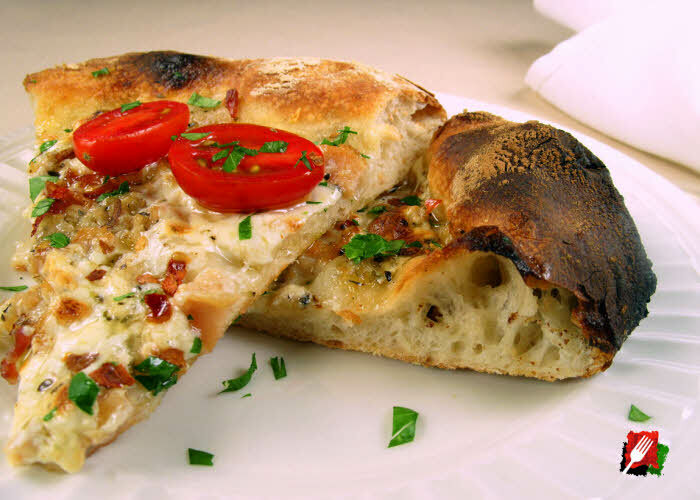 Many people enjoy the thin, crispy middle that is popularized by New York-style pizza, yet prefer the airy, crusty bark – or cornicione – of authentic Neapolitan-style pizzas. 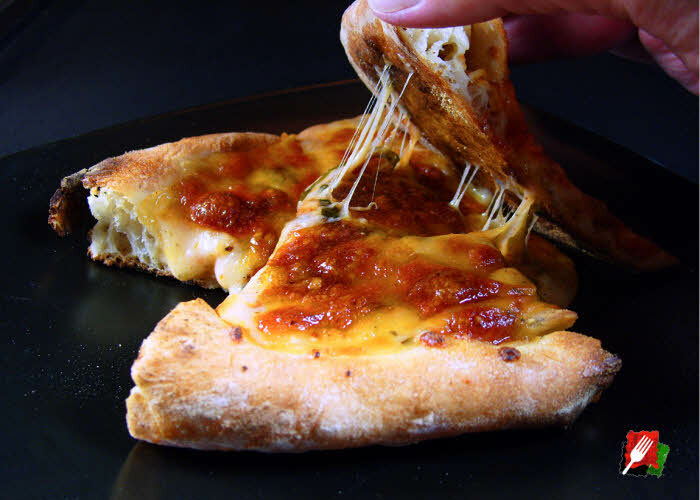 Our Italymax pizza recipes deliver the best of both worlds by hand forming the dough, sealing it with olive oil, then using a thicker pizza sauce to maintain a firmer crust than the soggy Neapolitan-style middles that use raw tomatoes and their juices, and often require a fork to eat. 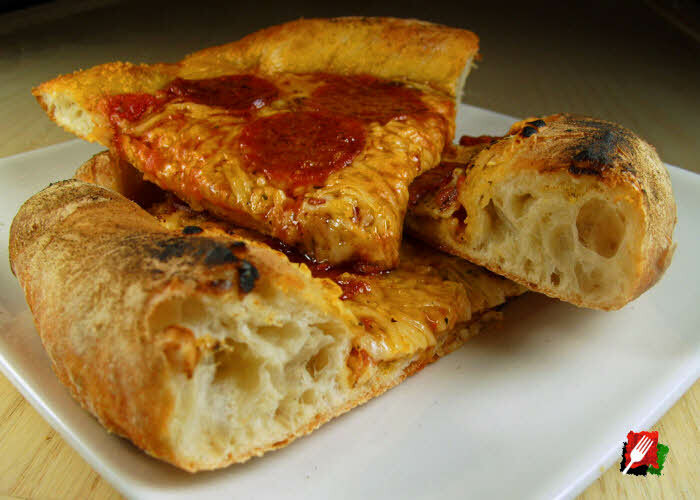 And while New York-style pizzas have a flavorful middle, the edge is flatter and more bread-like, and seldom have a crusty and airy rim.